for two age groups, 3-4 and 4-5 years old. with optional extended hours until 6 PM. Torah Ohr Preschool, which will be located in Norcross, is equidistant to three major Jewish communities, Sandy Springs, Toco Hills, and Dunwoody, making it ideal for children of any these communities to be able to attend as well. 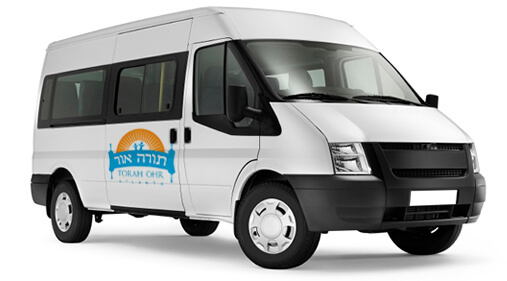 Torah Ohr will be offering free transportation by minibus, to and from Toco Hills and other communities with a significant number of students. The minibus will leave 8AM and return 3:30PM to the dropoff location. A teacher will help the children onto the minibus, accompany them for the short 19 minute ride to Torah Ohr, and return with them. Other communities will have carpool arrangements. For more information or to setup a meeting by phone or in person with Mrs. Brochy Cohen, Director of the Preschool, please call 678-829-8621, or email info@toatlanta.org. If you have already met with Mrs. Cohen, and wish to complete the registration* process, you may now do so, by downloading the Registration form below. * There is limited availability and a slot cannot be reserved until a child has been fully registered.